For holiday dog boarding in Tulsa and Owasso give GracieLand Hound Dog Hotel a call. History: The golden retriever was developed in the late nineteenth century from a cross of flat- and wavy-coated retrievers, tweed water spaniels, and red setters. It was bred by British aristocrats as a retriever and companion. The golden retriever is one of the most popular companion dogs, but is also used for a variety of work, including hunting, search and rescue, and assistance work. Physical Description: The golden retriever is a medium to large-size, athletic dog. It has a broad head with small drop ears, brown eyes, and a black or brownish black nose. The double coat has a soft, dense undercoat and a thick, straight or wavy outer coat in various shades of gold. There is a ruff around the neck and feathering at the legs, chest, belly, and tail. The coat is shortest at the head, ears, paws, and front of legs. 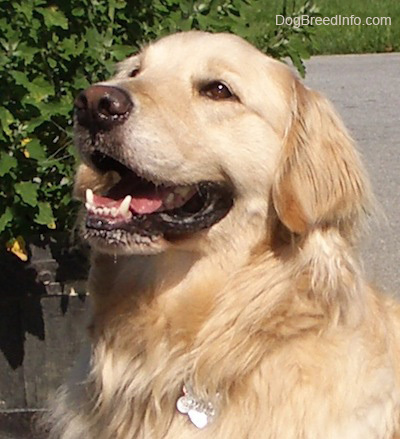 Temperament: The golden retriever is very outgoing, friendly, playful, and even-tempered. It gets along with almost everyone, including children and other dogs. Best Owner: It does best with an active family in a suburban or rural home. History: The history of the Chihuahua is vague. It is known that both the Toltec and Aztec cultures kept dogs, including a small breed called the Techichi, but it is uncertain whether these dogs were the ancestors of the Chihuahua. Some fanciers believe it is a descendant of dogs introduced by Chinese or Spanish explorers. It was first seen by North Americans in the mid-nineteenth century and brought to the U.S. shortly thereafter. Physical Description: The Chihuahua is a very small dog that is slightly longer than it is tall. The skull is large and rounded, sometimes described as an apple head. The muzzle is short and slightly pointed and the eyes are large and full. The ears are large and erect with the tips pointing slightly outward. The tail is natural and moderately long, carried erect, horizontally, or in a loop over the back. There are two coat types: longhaired and smooth. The longhaired type is soft, flat or slightly curly, usually with an undercoat. A large ruff on the neck and feathering on the tail, feet, and legs is highly desirable. The smooth variety has soft, glossy, straight hair. Any color is permitted; the coat can be solid, marked, or splashed. Common colors are red, sable, fawn, black and tan, tricolor, and brindle. Temperament: The Chihuahua is an alert, sensitive dog. It tends to dislike dogs of other breeds and requires socialization to be comfortable with strangers and children. Best Owner: The Chihuahua makes an excellent apartment dog and companion for an elderly or sedentary adult. Possible Health Concerns: collapsed trachea, heart problems, hydrocephalic, hypoglycemia, luxating patellas. 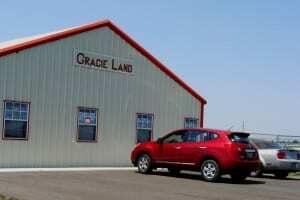 When you’re in need of Tulsa dog boarding, look no further than GracieLand Hound Dog Hotel. 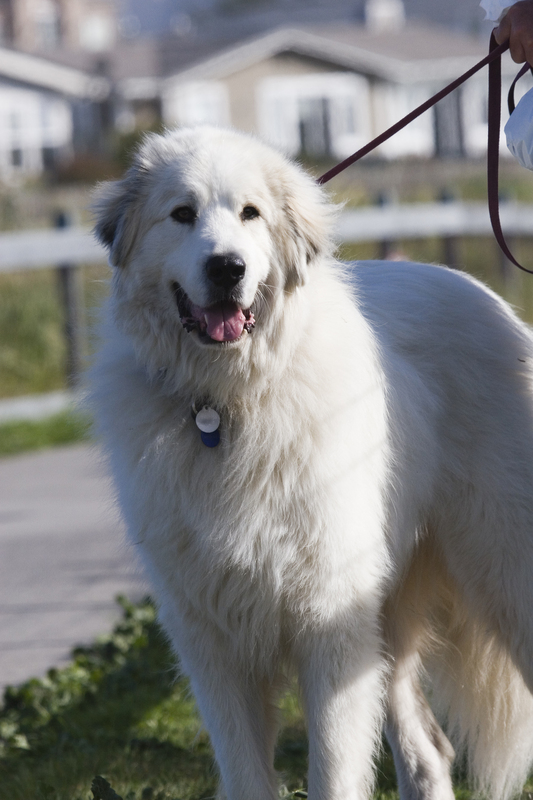 History: The Great Pyrenees was developed as a flock guardian in the Pyrenees Mountains. It is believed to be related to the other flock guardians from Asia and Europe, including the akbash and Maremma sheepdogs. In the seventeenth century, it became a popular companion of French nobility. The breed was first brought to the U.S. in 1824. Physical Description: The Great Pyreness is a large, powerful dog that is slightly longer than it is tall. The wedge-shaped head has almond-shaped, dark brown eyes and a black nose and lips. The ears are small, V-shaped, and drop. The long, well-plumed tail is carried low or over the back. There is a profuse, medium-length coat that is white or white with badger, gray, or tan markings. Temperament: This is a stable, loyal, and confident breed, affectionate and gentle with its family but protective and territorial. It tends to be somewhat nocturnal, resting during the day and guarding at night. Best Owner: This breed does well with a family in a rural or suburban home. 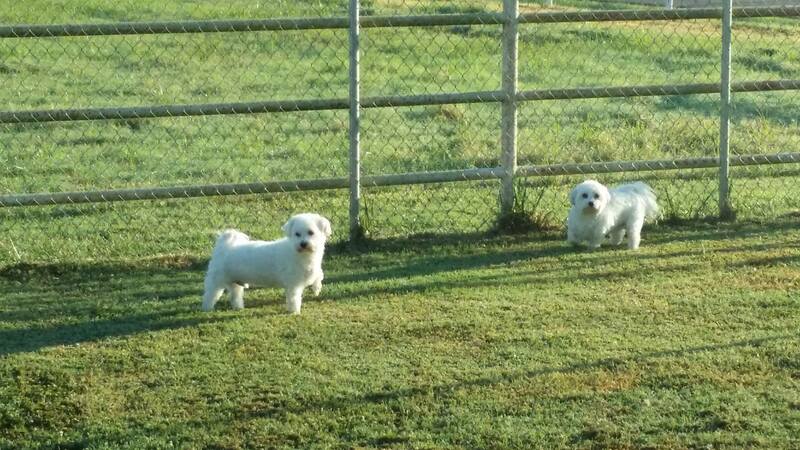 Special Needs: Fenced yard, leashed, training, socialization. Just a quick reminder. We still have rooms available for the Thanksgiving and Christmas holidays, but they will fill up fast. Board your dog with us to keep your furry kiddos safe and stress free while you travel during the holidays! History: The “Yorkie” was originally bred to control rats in cotton mills and mines in Yorkshire, England. It was popular among the working class, especially weavers. Later, it became a fashionable pet during the Victorian age. Originally called a broken-haired Scotch terrier, the breed was renamed the Yorkshire terrier by 1870. It is a descendant of the Waterside terrier, Old English black-and-tan terrier, rough-coated English terrier, paisley terrier, and Clydesdale terrier. It first came to the U.S. in the 1870s. 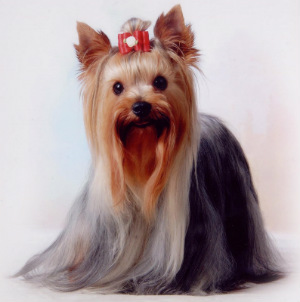 Physical Description: The Yorkie is a very small, well-balanced dog with square proportions and a high head carriage. Its skull is small and flat; the muzzle is tapered with a small, black, button nose. The naturally erect ears are small and V-shaped. The tail is docked to medium length and carried slightly higher than the back. The distinctive coat is long, silky, and glossy, parted down the center of the back and hanging straight to the floor. The long hair on the head is parted or tied into a bow. The hair on the muzzle is long and blends into the chest hair. Puppies are born black and tan but by about two years old develop their adult steel blue and tan coloring. Temperament: The scrappy Yorkie is a true terrier. Despite its small size, it is courageous and assertive. It tends to get along well with most animals and children, but can become demanding and nippy if not socialized and trained. Best Owner: This is an adaptable dog that does well in a city or suburban home. It makes a good apartment dog. History: The Labrador Retriever was bred as a hunter and water retriever, the Lab was developed from Saint John’s Newfoundland’s and other gun dogs in the early nineteenth century. It was a distinct breed by the mid-nineteenth century. The Labrador retriever is the most popular companion dog in the U.S. and still is used for hunting, as well as a number of other jobs, including search and rescue, detection, and service work. Physical Description: Labs are a medium to large-size, muscular dog. It has a broad head with a black or brown nose (black on black and yellow Labs, brown on chocolate Labs); brown or hazel eyes; and short, triangular drop ears. The otter tail is long and thick. The double coat has a short, dense undercoat and short, straight, water-resistant outer coat in black, yellow, or chocolate. There may be a white spot on the chest. 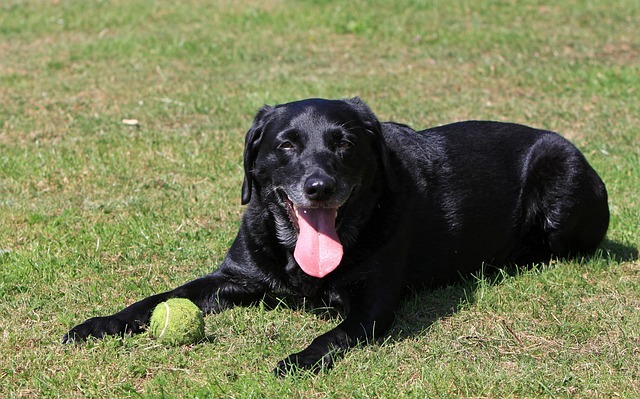 Temperament: The Labrador retriever is enthusiastic, social, and biddable. It is even-tempered and friendly with almost everyone, including children and other dogs. It loves the water and carrying objects in its mouth. Best Owner: It does well with an active family in a rural or suburban environment but canadapt to city life with sufficient exercise. Hello from GracieLand Hound Dog Hotel. 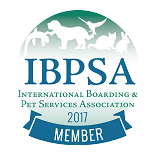 We are very excited about this new blog adventure and hope that you will enjoy getting to know different breeds of dogs. We are proud to now offer a new service for our company, Doggy Daycare! 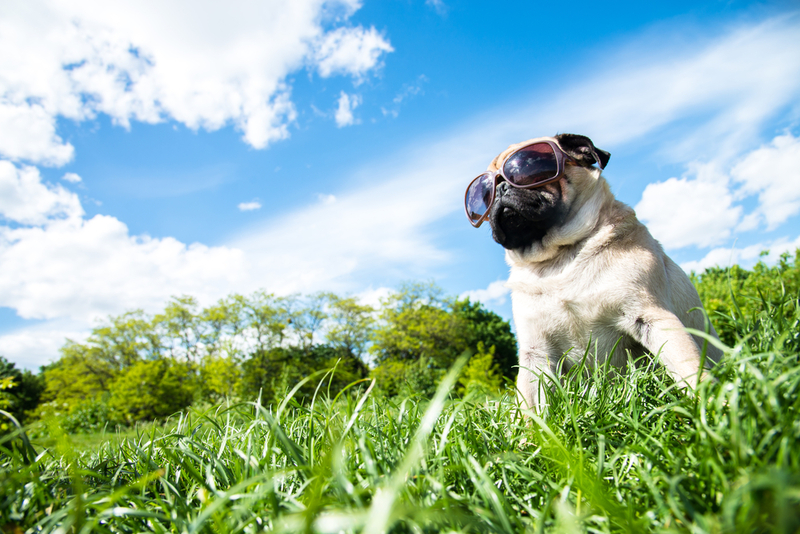 5 Reasons why Doggy Daycare is a great idea. Throughout the day doggy daycare will provide opportunities for your dog to express normal dog behavior. They will have scheduled times in which your dog will have the opportunity to play with new dogs and learn necessary socialization skills. In some instances, dog owners are not comfortable monitoring their dogs play time with a new dog. A dog owner may not be familiar with what is appropriate and what is considered dangerous. GracieLand has an experienced staff that can understand dog body languages and can ensure all dogs are comfortable during play times. During the day while you are at work, your dog may be lonely staying home alone which is where we come in. The staff members at GracieLand have structured play times and interact with your dog regularly. We are here to make the most out of your dog’s play time, including socialization with other dogs and humans as well. And nothing beats a hug and a few scratches behind the ear. To crate your dog or not to crate? If, while you work or not home, you don’t want to leave your dog crated for hours and not crating can set your dog up for destructive behaviors due to boredom. A good compromise for dog owners is dog daycare where boredom becomes a non issue and there are ample opportunities for stimulation. You may feel guilty for being away from your furry kid for hours while working more than 8 hours and leaving your dog at home. At GracieLand Hound Dog Hotel Daycare will allow your dog multiple opportunities for “bathroom” breaks, exercise and will be entertained while you are away. Feel guilt free and take advantage of Doggy Daycare while you’re away. Thank you visiting our new website. We really enjoy all of the dogs we take care of and hope that you enjoy seeing how happy your pet is when they are here. Follow us on Facebook to see us in action!